Beautiful vintage cars on the lawns. 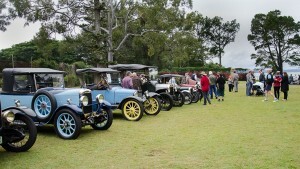 A fascinating selection of beautifully restored vintage cars will be on display on the lawn of Ormiston House. Visitors are welcome to partake of a Devonshire Tea on the verandah or bring their own picnic to enjoy in the delightful grounds of the house.